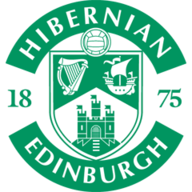 Hearts and Hibernian face off in the first Edinburgh derby of the season on Wednesday night. Hearts will be without Steven Naismith for at least six weeks after the striker suffered a knee injury. Naismith will miss games against Hibernian and Celtic this week alone for the Premiership leaders and has been ruled out of Scotland's Nations League deciders against Albania and Israel. Peter Haring has a hernia problem and Uche Ikpeazu, John Souttar and Christophe Berra all remain sidelined with long-term injuries. Boss Craig Levein said: "We've had a number of blows in the last three or four weeks so we will just have to cope with this one as well as we have done with the other ones. It does leave us a bit thin on the ground up top with Uche being out as well, but we'll get by. "It's important players, that's the thing. But we have played quite a few matches without Christophe and Uche and John already and I feel good about the depth of the squad. "I am probably going to ask one or two players who are not 100 per cent to give everything they have got." Hearts could soon find themselves missing another striker with Steven MacLean facing possible retrospective punishment after appearing to grab Celtic midfielder Eboue Kouassi's private parts while jostling for space at a corner. The Scottish Football Association compliance officer is expected to act on recent guidelines to charge MacLean with violent conduct, which carries a two-match ban, but he will be free to face Hibs. "I'm rueing the fact that they changed the rules this summer, and then it becomes a different offence," Levein said. "He said he's been doing it for years but I had to chuckle at that. I don't think it was an offence (before), if you know what I mean. "Obviously we will have to wait and see what happens, we will deal with the situation as it arises." Hibs have no new injury concerns as Jamie Maclaren and Darren McGregor both returned to full training last week. 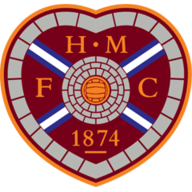 Hearts have only lost one of their last 11 home meetings with Hibernian in the top-flight (W7 D3), a 2-1 defeat in May 2013. Hearts lie top of the 2018-19 Scottish Premiership with eight wins from their first 10 games (D1 L1). It wasn't until their 23rd league match last season that they won their eighth game.